The procedures for ensuring standards in continuing care are both mandatory (registration and inspection) and voluntary (quality assurance). The way in which Mellor Nook deals with them are as follows. The C.Q.C. (Care Quality Commission) registered and is responsible for the continuing registration of Mellor Nook. The C.Q.C. ensures that the purposes and aims of the home are clearly set out and that the standards of care we offer match these aims and objectives. They have a duty to ensure that the best quality of life for residents is achieved. Throughout this process, registration staff were consulted and monitored progress and preparations for the opening of the home. Advice was given to us about the initial selection of residents, selection of staff, preparation of a home brochure, and on how to ensure that the registration requirements agreed initially would be implemented. The Social Services (until mid 90s) The Inspection Unit (until 2000) N.C.S.C (until 2003) ,C.S.C.I. (until 2007) and now the C.Q.C. ensured that we posses the relevant qualifications and have extensive experience of employment within residential care. They are also confident in our in our understanding of financial projections and budgeting. They recognise our business-like approach that will ensure that Mellor Nook will be managed on a secure financial basis and will not put the future welfare of residents at risk. 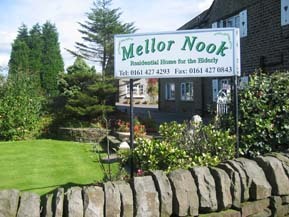 Mellor Nook has been the Critchlow family home for over fifty years, the kind of attachment this creates can not be put into words, and all the people who live here can rest assured that as long as the family are able Mellor Nook will be a beautiful caring homely place to spend your old age. Under the National Minimum Standards 2002, homes must be inspected by the The C.Q.C. (Care Quality Commission) Up until the C.Q.C. took over in 2007 all registered homes were inspected twice a year although the C.S.C.I. could choose to visit more often. At least one visit was unannounced. Inspections are carried out by persons authorised to do so by the C.Q.C . Inspections vary in content, focus and length of time depending on any outstanding issues identified on previous inspections. Inspectors focus on quality of care and quality of life issues as much as on the fabric of the building. Time is devoted to asking residents and staff about standards of care provided. Care is taken to ensure that courtesy, diplomacy and tact are used in inspecting individual residents' private rooms Mellor Nook makes every effort to make it possible for the inspection officer to spend some time in private with individual residents We find inspection enormously constructive and recognition is given to innovative and good care practice. Time is also given to discussing and reviewing, with the us, the objectives of the home and how the care of the residents can be enhanced. The complaints procedure is outlined on entering the home. The majority of complaints regarding the management of a home are normally satisfactorily resolved by the Mr and Mrs Critchlow and there will be no need for the C.Q.C. to be involved. When complaints cannot be resolved internally the C.Q.C. will be informed of the complaint. All complaints must be made in writing to the C.Q.C. , giving details of any action already taken and with whom the matter has been discussed. C.Q.C. will then take the necessary steps to investigate the complaint and arrange to interview the owner/manager, resident and all other people relevant to the specific complaint. Following the investigation/interview, a letter will be sent to the owner and manager, resident and the complainant stating the outcome and specifying any action. The C.Q.C. have available for consultation a list of all private and voluntary homes currently registered in its area. 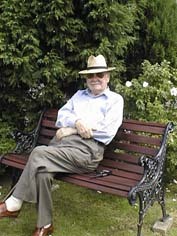 Many authorities have also found it helpful to publish a more detailed list of registered homes describing their individual characteristics and specific services provided, General information can also be given on how to obtain advice about financial assistance towards the cost of accommodation, and on the difference between a private and voluntary home and between a residential care home and a nursing home. We have tried to provide as much information as we ca on our web site. Quality assurance is the process whereby we can check that acceptable standards of service are being met. This is done through self-assessment and annual inspection by the C.Q.C. . In order for this process to work, agreed standards been set out in the previous pages. Performance against those standards is then be measured through the quality assurance process. The inspection report details the standards. There are many benefits for Mellor Nook in establishing quality assurance procedures. this process identifies what constitutes acceptable standards of care and assists in setting up processes for monitoring our progress towards achieving them. Drawing up and agreeing standards has involved all those concerned, including residents. The day-to-day experience of those who live and work in the home has provided the starting point for the process. Essential to the process of quality assurance is the idea of self-audit or self-assessment whereby we systematically examine the service we provide, assess our performance against standards which we have already agreed in conjunction with residents, and then make adjustments to improve anything shown to be deficient. Quality assurance involves all members of staff at every level. Through this, standards are raised and team-working is developed. Accreditation is given in the way of a C.Q.C. report that doesn’t outline major requirements or recommendations.